Support question please send to forum please, thank you. Thanks for the suggestion, we research more to make this available in next version. Thank you very much. I have gone through your documentation but you have not covered the use of "Accordings". I am unable to understand this option of "Accordings" feature " Allow all open "
Support ticket please submit to forum. If you did not purchase the template, please purchase before requesting support. Thanks. I will open support ticket next time. Hi there, first I would like to appreciate your advanced level coding skills. Man, you have really awesome talent with your coding skill. You are the man who gave BlogSpot a life with Mgone theme. Then you introduced AMP in blogger, just awesome. I have been using Magone on blogger and I was familiar it with it. But now on WordPress, I can't find how I can use different BLOCKS.Can you give me a hint? Hello. Support ticket please send to support forums. Thanks for the kind words. them này có hỗ trợ amp không ạ? Bạn dùng AMP plugin ạ.
I'm interested to purchase MagOne theme for Wordpress. Before purchasing it, I would like to know if it is possible to modify the newsletter plugin in the footer. Indeed, I've noticed that you use Feedburner and I would like to use another service. 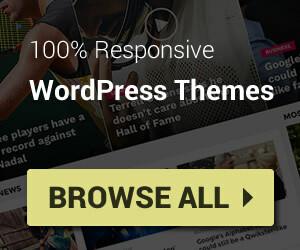 Furthermore, is the theme compatible with Wordpress 4.8 ? Thanks and good job ! The newsletter box in footer is only a widget, you can remove and add any other widget to that position as you want, included your other newsletter service. And the theme compatible with 4.8. Thank you. Thank you for your prompt reply. As I have installed the lite version to test it, I couldn't figure out how to change the newsletter widget in the footer. Indeed, in the footer editing menu, I can only see "reset" option but any possibility to remove and change it. And in the widget menu in Wordpress admin, there's only a "Footer wide" location. Thank you for your advice. The question about lite version must be posted in lite version comment section. I will reply you there. Thank you. i want to add a slider in my post instead of using in html widget. How can i do this ? im using magone themes, how to customize in wordpress?? Good morning Tien Nguyen. I am a Brazilian fan of your Magone theme for WordPress. I would like to have it on my site. 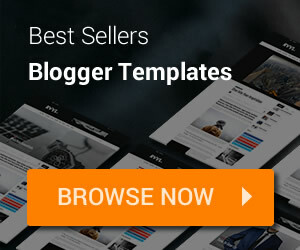 Is there another way to buy without the ThemeForest? Currently not use credit cards. I am willing to support there. Thank you. When i charge the theme, my unique user (admin) dont have acces to the admin dashbord why? o what is the new user for acces to this dashboard admin panel? Bạn có thể nhắn tin trên Facebook: https://www.facebook.com/tien.nguyenvan.351 để trao đổi thêm. Cảm ơn bạn đã quan tâm. You should not leave Themeforest for your products, because you can gain more fame from thenmeforest and also increased sales from TF. I have bought MagOne blogger theme, and it's really great theme, and i hope you won't stop updating the blogger version of MagOne :( because it's a master piece theme, many of the MagOne blogger user are also waiting for next update, and i hope you won't disappoint your TF buyers. Sorry I'm asking but why you want to escape from TF? Because I saw that you have a lot of sales from there and many followers that they expecting more and more items from your team. Also TF is the biggest market in the world with milions of visitors so its very hard to achieve the same or similar amount of sales outside of themeforest. I only buy from TF because I'm sure for their quality standards. PS. I have already bought blogger version of magone, and its fantastic! Great Job!! I am trying to escape from Themeforest, and if the sale amount here is not good, I will come back there. When will be live on Themeforest so we can buy it from there? Không vào được trang của bác.